If you don’t use a skill, you start to forget things. 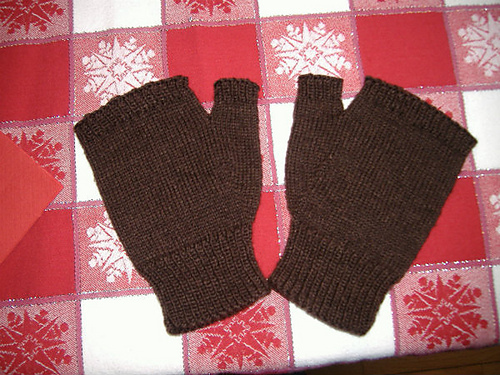 I used to knit all the time, 2 hours a stretch and then some most days, and my work showed it: nice even stitches and nary a mistake to be seen. Then I got sick at the beginning of the year. 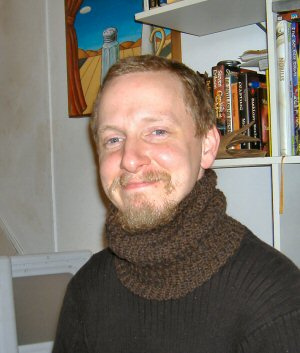 The first project I knit, one of the prototypes for a soon to be released pattern, confounded me until I finally figured out what the problem was. It’s still not perfect, I have to play around with gauge, but I got through it. 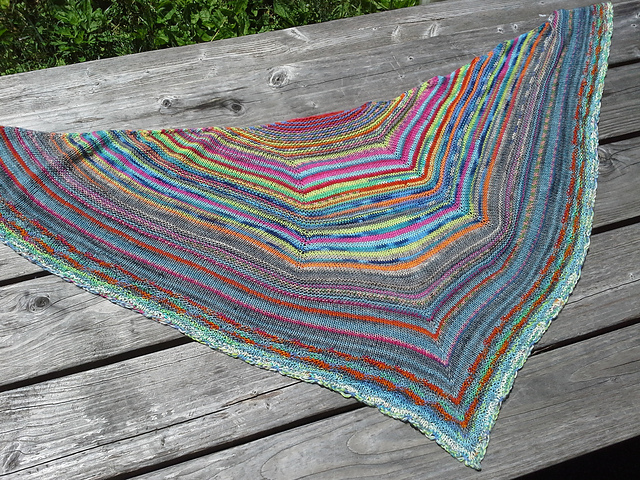 The second project I knit, the Follow Your Arrow Mystery Knit Along Shawl, went fairly well. The charts weren’t complicated and I probably had to fix a few mistakes but all in all I was satisfied with the end result (it still has yet to be blocked). 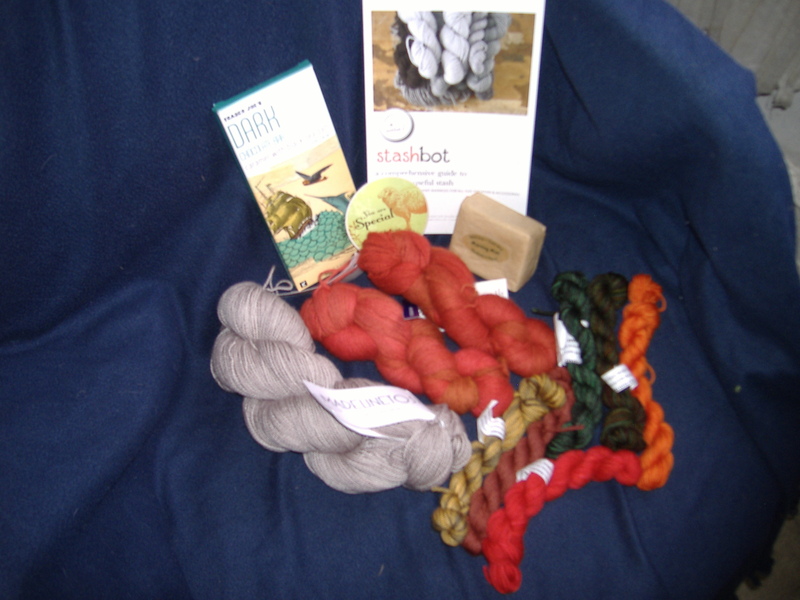 The third project I worked on was the Desolation of Smaug Mystery Knit Along. With this one all hell broke loose. I had to use multiple life lines because I kept making mistakes on the charts. I had to use a highlighter so I could keep track of where I was in the chart. Right now it’s sleeping because I have to frog four rows to correct a mistake I made. 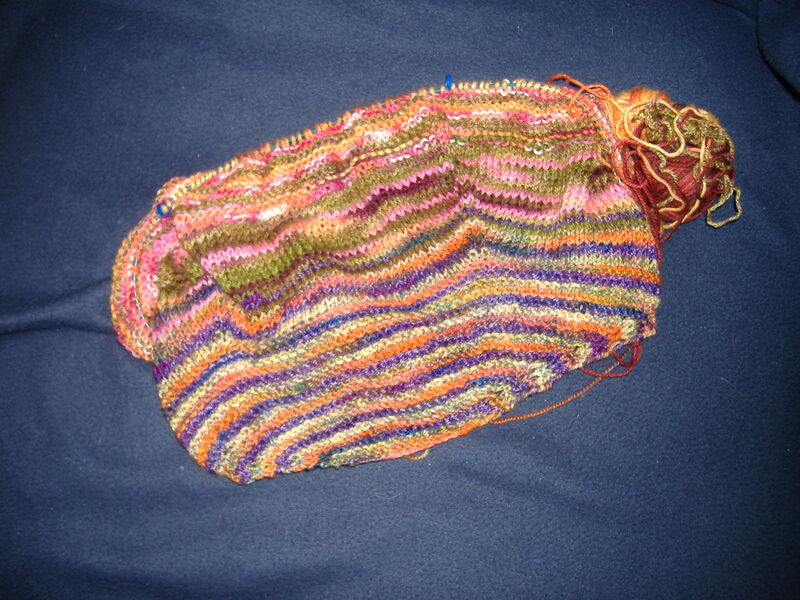 There was at least one aborted attempt at knitting a sock that I just couldn’t concentrate on. 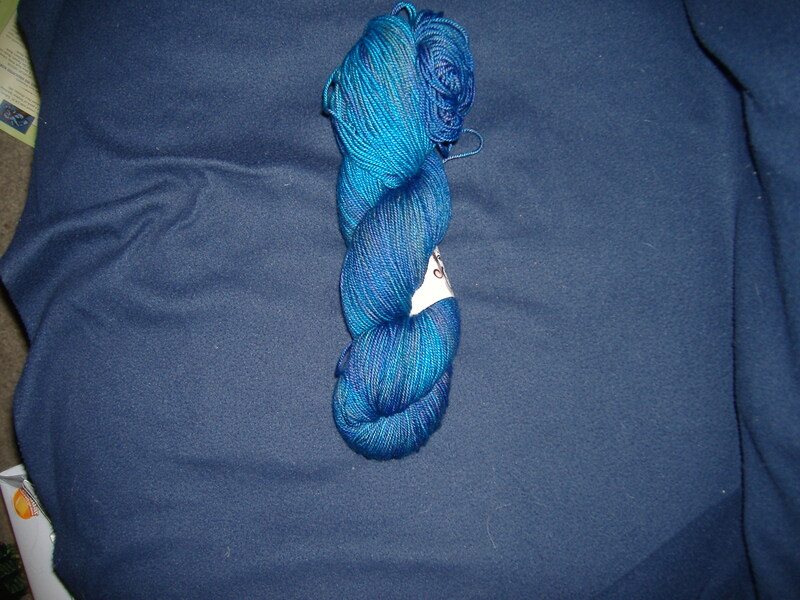 I decided I liked the look of a shawl that someone in my knitting group made and offered to test it for her. I read what I thought were the important parts of the instructions and got to the last section of knitting the shawl before I realized I had done it completely wrong. I frogged it and started over but kept making simple mistakes so it’s just as well she didn’t use it in her pattern launch. 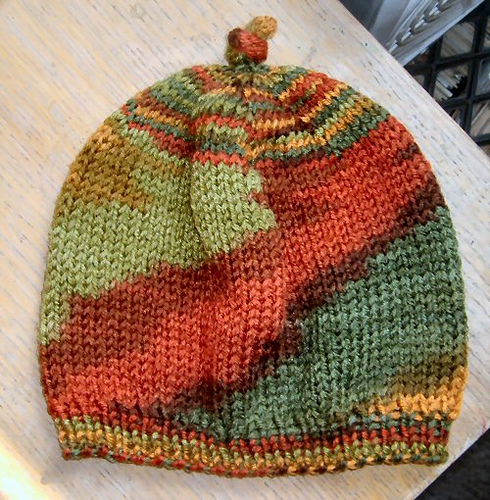 That brings us up to Christmas knitting and my first project on the needles, Color Affection. 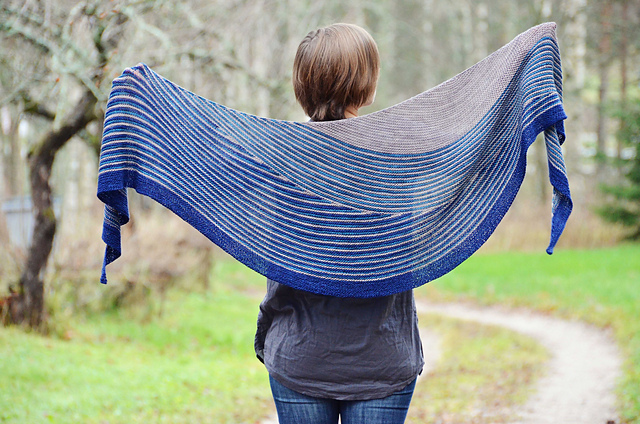 After reading through all the mods people made to the shawl, I decided that I was going to use yarn overs in the borders and knit front and back rather than the make one left and right that the pattern called for. I set to work, got a few rows in, screwed up and frogged it. Started again thinking I had the pattern in my mind and things seemed to be going well except that my gauge was all over the place. I’m a tight knitter usually and was trying to knit loosely so there were these patches of really loose stitches all over the place. It’ll come out in blocking I told myself. I was two rows away from finishing the first section when I thought it would be a good time to count my stitches. My count came out to be 29 too many stitches and an even number to boot. I reread the instructions and found out I was supposed to be doing double increases on one row and single increases on the next three rows. I just finished frogging it. 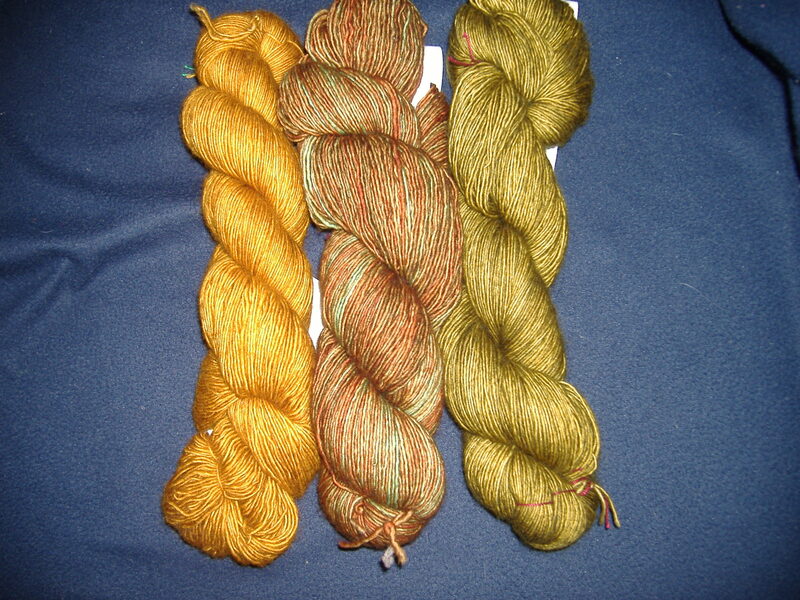 I am using Tosh Merino Light and if you’ve ever had to frog it you know what a PITA it is. Up until I stopped to count stitches I thought I was doing really well. The gauge differences would work out a bit in blocking and it’s intended recipient probably wouldn’t notice them anyway. I was happy. I was finally knitting something and enjoying it. Having to frog all that work has been a huge blow to me. I’m going to have to dig out my row counter or keep a note pad near by so I can keep track of the increases. My concentration is shot now and it will probably take me a few days to really get back into knitting it again. This is not a complicated pattern. I posses all the skills necessary to complete it and complete it well, it’s just that I keep making simple mistakes with big consequences. 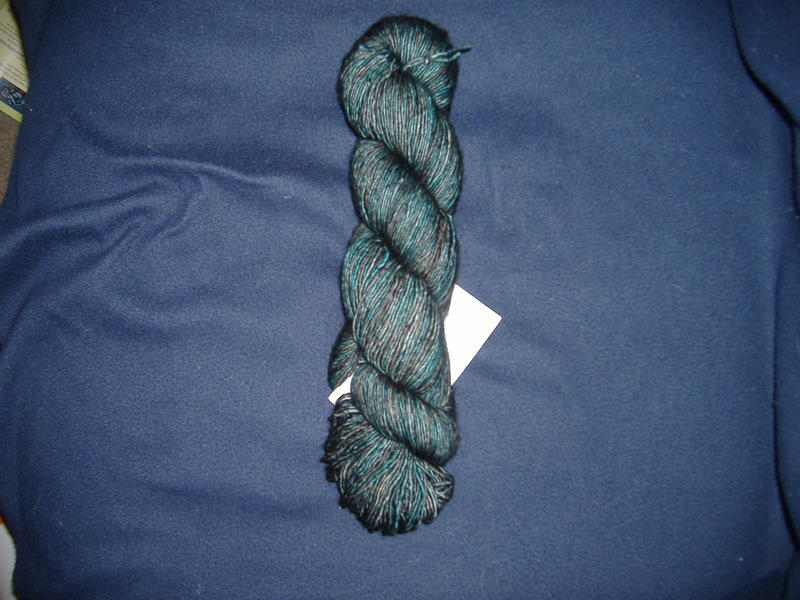 I have a sock swatch that I have to measure and I’m almost afraid to do it wondering that even if I got gauge could I maintain it? I know I should count myself lucky that I had that time when all things knitting went well for me. I’ve had legitimate reasons for why I haven’t been able to knit much this past year but those reasons aren’t gone yet and I’m going to have to resort to using tools I thought I had completely outgrown. It’ll get done and to the best of my ability, but it’s going to take a while for me to get back to where I was in my prime. Thus endeth my, “Oh woe with me,” post and my hubris that I could just pick up where I left off.